Jimmy Fields has served in the new and used car business for over 32 years in Northwest Arkansas as a certified Sales Person and Sales Manager. 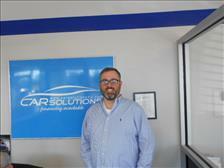 Jimmy has been with Car Solutions for 7 years. 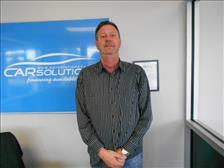 For any of your pre-owned auto needs contact Jimmy or any of our professional sales team. Ryan Ledbetter has over 15 years of finance and accounting experience. He is a graduate of Ouachita Baptist University in Arkadelphia, AR. Ryan is an avid baseball fan and loves to golf when he's not chasing around his two daughters. He and his wife, Robyn, along with their girls, reside in Fayetteville.